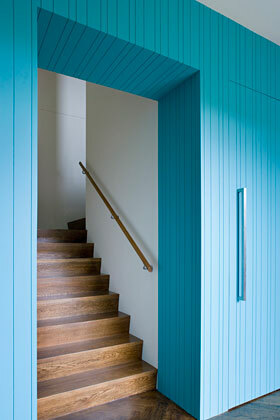 Today I am thinking of entry's and stair halls. With the kitchen all white a colorful hit in the entry might be just the ticket. 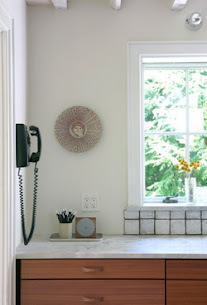 I like the play of intense color against white, maybe the side entry closet could be bright. It would be a nice foil to all the white of the kitchen next to it. LOVE!! this. 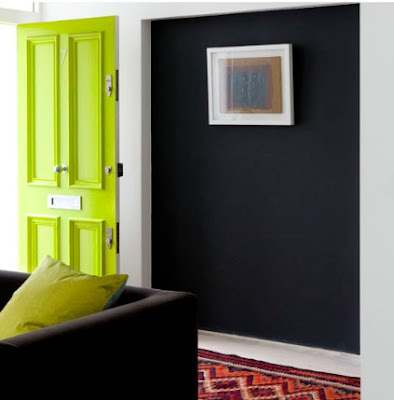 What's not to love, it's got my very fave color- chartruese mixed with the fab black wall- sign me up. We are most likely going to paint the exterior white and a bright door like this would be amazing. 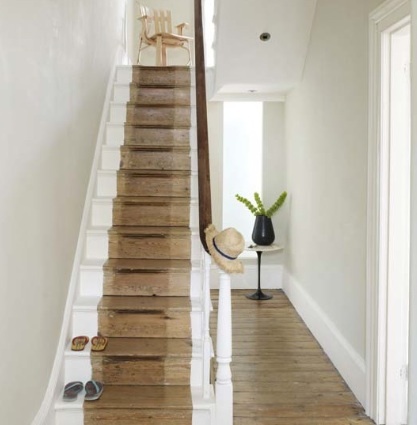 So often you see the whole step painted white and as much as I love the look I can't imagine it in a rental, perhaps this would work. ok- not colorful, and definitely not the style of the house! Still have always loved this image, the simple yet elegant stair, the mix of the Ikea light, Saarinen table and vintage mirror. This I just threw in because it's great. 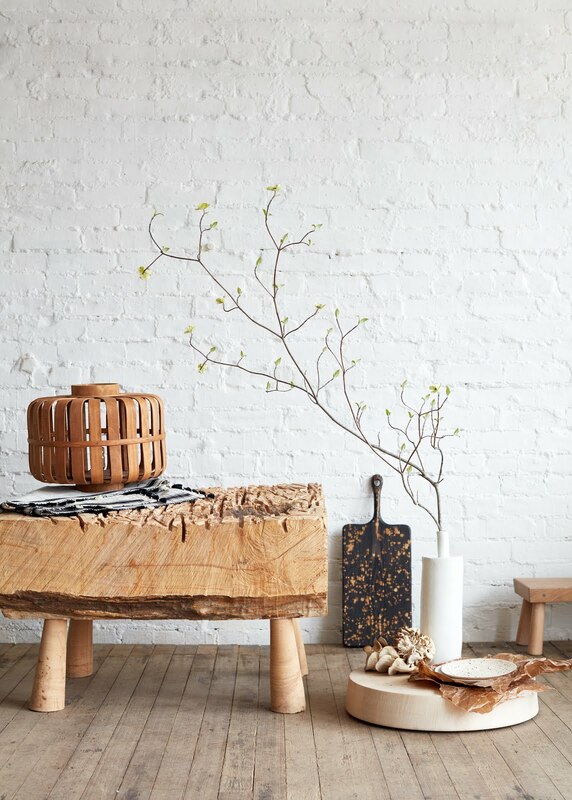 The simple lattice divider and orange bench make me smile.